Was there any other aspect that you put a lot of focus on? There were several, but one of those is the My Castle32 feature, which uses connectivity.32. My Castle: The player has the ability to create a unique “base” for themselves. They can build a village by adding buildings such as an armoury and various vendors. This is also where the characters in their unit live. Players can visit between chapters, to get equipped for the next battle or talk to unit members. As the name suggests, My Castle is your own castle that you can visit in between chapters. It allows players to lay out the town below the castle however they like. In addition to having conversations with the characters, players can also interact with other players and engage in battles. 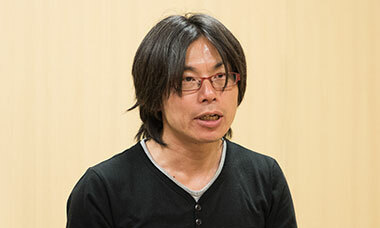 Maeda-san felt really strongly about putting this feature in, because we wanted players to have other fun things to do besides just the simulation game. My Castle has a ridiculous amount of features too. It has enough content to be a game? Maeda-san, you had so much work making three games, why did you add in My Castle? My Castle lets players experience living with the characters. We made it because we wanted players to really fall in love with all the characters. And Maeda will do anything to make the characters more likable. He always tries to put in everything that will make players love the characters even more. And because of that you made yet another game? That’s right. Originally My Castle was just going to be used with StreetPass33, but using an internet connection, players can visit other towns, and have battles. This was something that came out of all of the ideas that Kibayashi-san gave us...33. StreetPass: A function that allows players to exchange data with people they pass on the street, as long as they have their system in Sleep Mode and wireless communication enabled. Wait, so Kibayashi-san didn’t just write the story, he also gave you ideas? So we decided to add the internet connection feature so that people who live in areas where they don’t get a lot of hits via StreetPass would be able to exchange game data with people, as long as they have an internet connection. I’m really glad we did My Castle, though. Trying to get players deeply invested in the characters has been a big theme since Awakening, and I think that My Castle will help players get even more invested. And I feel like My Castle really works with the idea behind the title of “If”. 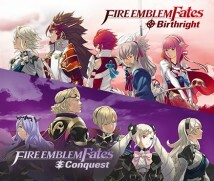 (Editor’s note: Fire Emblem If is the game’s title in Japan) Of course there are a lot of “ifs” in the story. So why did you decide to put the word “if” in the title? That’s right. And then when we decided to make two separate packages, we kept thinking of different ‘what ifs?’, like “What if you ally with Kingdom A?” and “What if you ally with Kingdom B?” So personally, “if” was the only title I could think of. And when it came time to talk with everyone about titles, I said, “The only thing I can think of is ‘if’’,” Everyone said, “Yeah, it’s got to be ‘if’.” So we ended up naming the game Fire Emblem If. Kibayashi-san. We can’t give out the official title of the third game yet, but it’s written in katakana instead of kanji34 which was also Kibayashi-san’s idea. When we first met him, he said, “What if we made the third game world something like this?”34. Katakana instead of kanji: Written Japanese consists of three kinds of characters: Kanji, Hiragana and Katakana. Kanji are ideographic characters, and Hiragana and Katakana are phonetic characters. Katakana characters are most often used for words that did not originate in Japan. When you met up at the family restaurant? I was really shocked. At first, it was about a war between two different nations, and we had a good idea of what those countries would be like, but we didn’t have any ideas for the third game yet. And then when we talked to Kibayashi-san, he asked, “Well, what about something like this?” He had so many ideas. And it fitted a katakana title perfectly. 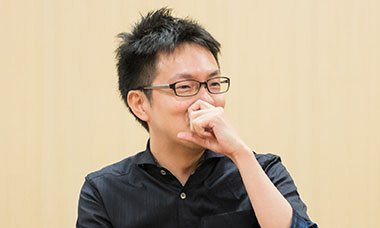 But when Maeda-san says, “Hold on, please,” it really means, “I’ll consider it, and probably go in that direction.” But when he says, “I see,” usually he won’t respond to it. That’s what I’ve learned after working with him for such a long time. Oh, that’s true. I knew it was a catchphrase of his, but now I see that “I see” was a negative response. That would be the kind of “I see!” that means they agree with what you’re saying. I see! (laughs) This will really help me in my future dealings with Maeda-san.